Something a little different, as I resurrect this feature. Instead of grouping ads by theme or product, as I have in the past, I’m just going to start moving chronologically through LIFE magazine, starting with the first issue in 1936, and moving forward. Now, at this rate, I’ll have enough ad content to keep this feature going for the next 50 years, so I’m probably going to rethink this feature again at some point. But for now, I just want to get going again, and this is the easiest way. 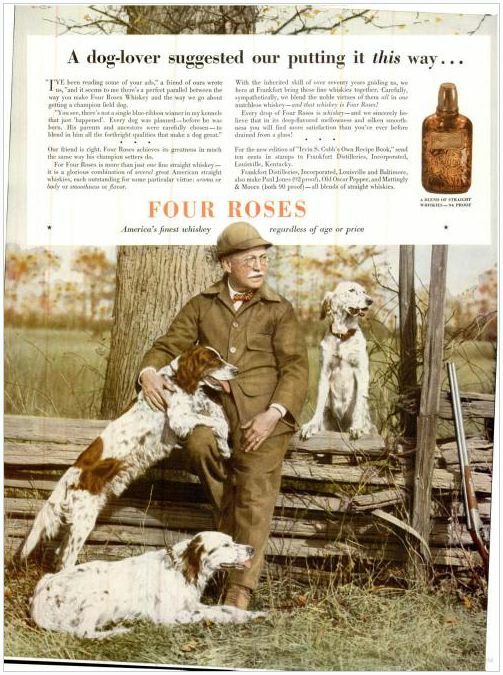 So, first up, some Four Roses ads. 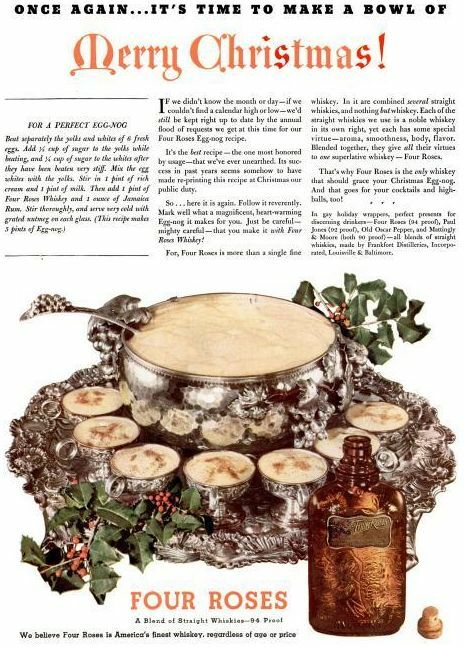 The first ad up is from the November 23, 1936, issue, the first issue published of LIFE. The sizes on these early ads will be inconsistent from ad to ad. I snipped all of these a couple of years ago, and I hadn’t yet set on a consistent procedure for snipping and sizing the ads. Apologies.